You're a poster after my own heart. I just finished watching the last season of Boardwalk Empire and realised it's one of my fav shows of the past decade. 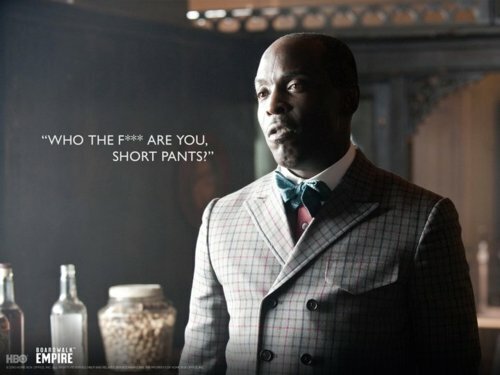 So, not surprisingly, I got inspired to make a poster of Chalky White since the season 4 was really his story (plus I've got an Omar poster so it'll be in good company). That is scary. Let me fix that. Currently watching Walking Dead and we recently finished the most recently released here in Europe season of Grey's Anatomy. And I am not ashamed of that. This is why we can't have nice things, they cancel all the good shows leaving us with garbage. So is anyone else extremely disappointed in Louie this season so far? It's always been a weird show but it seems like now it's just weird for being weird instead of having a point. The kid is crazy and Louie has a thing for someone who can't speak English... uh... where's the ****ing laughs in that? And is it me or did Louie increase how socially awkward his character is by 3 fold? I never thought I'd have to dump this show but I'm giving it one more episode. I am super disappointed in Louie. I absolutely loved this show and now I'm like OK where's the laughs? Guess all shows have a bad season.